The above products are recommended for installation or mounting of the Special Application Universal Top 2" Square Glass Railing Post. Adaptable to almost any environment, Surface Mount Posts have earned their acclaim. 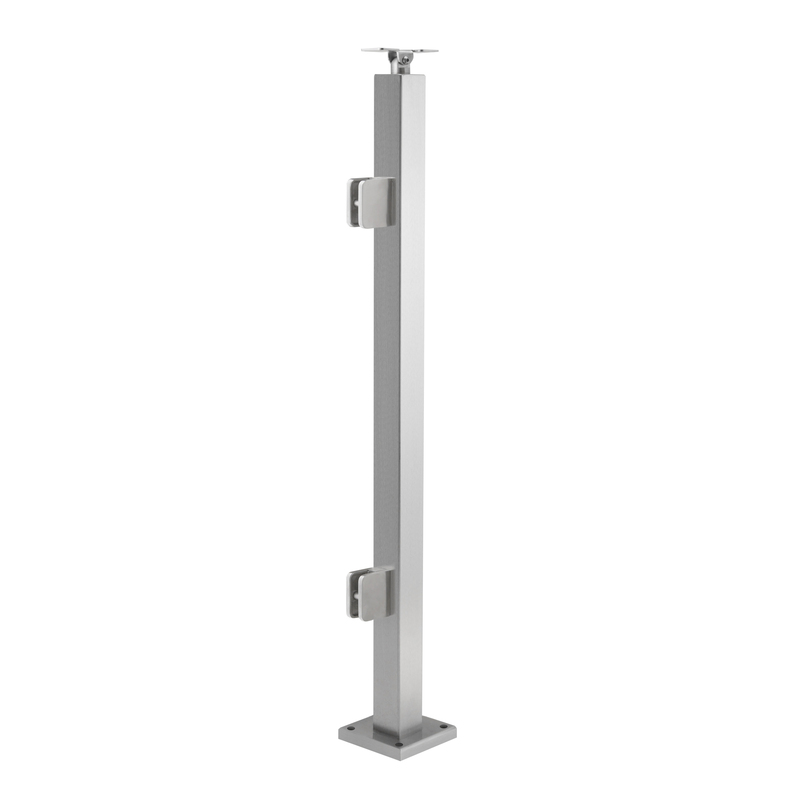 Captivating & customizable, these posts are built from superior stainless steel by craftsmen who care. Surface Mount Glass Railing Posts are perfect for decks, treads, and other surfaces. Well-suited for almost any scenario, these posts have earned their popularity–and they’re ready to prove it. Julio, thanks for the question. To make sure you get exactly the parts you need, I would recommend calling one of our railing specialists at (866) 226 6536. We have trained staff to take your call from 8:00 am to 5:00 pm Eastern time. There are a lot of variables to take into account, and they should be able to talk you through it.